Renovating a fixer-upper is not for the faint of heart. It takes money, hard work, and patience. But if you’re able to pull off a successful transformation, you’ll reap the benefits. “Fixing up a house is an incredible opportunity, but should never be viewed as a TV show. It’s real life,” says Elizabeth Enright Phillips, a financial coach at Running Creek Properties in Lancaster, OH, who has renovated nearly a dozen properties. Best-case scenario: You’ll end up building your dream home and increasing the value of the property. But fixing up a ramshackle house can cost a fortune. Unforeseen problems can surface that will make your fixer-upper a real money pit. When looking at real estate listings, you’ll notice that no two fixer-uppers are the same. One may have sat vacant for a while, another may be in desperate need of a new roof, and another may have a mold infestation. Each of these scenarios will cost money to rectify, but some situations are more manageable than others. 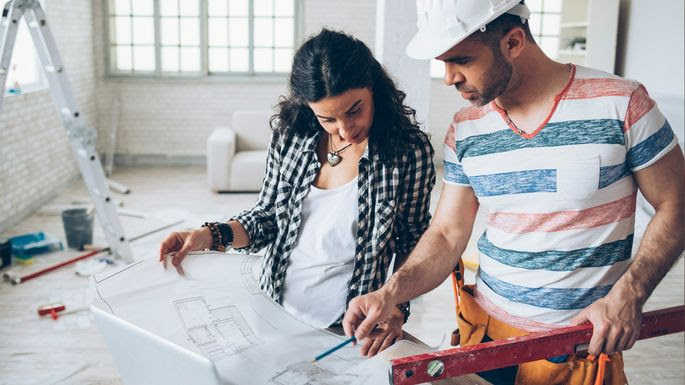 To help you out, we tapped experts to identify the features and characteristics you should look for in a fixer-upper, to make the renovation go much more smoothly. On your hunt for that hidden gem of a fixer-upper, keep your eye out for the following signs. A solid structure is ideal for any home, but it’s especially critical when you’re buying a fixer-upper. If the home has a crumbling foundation or serious roof problems, you’ll have to decide if you’re willing to pay to repair this type of damage. Mike Coughlin, owner of Summit Design Build in Stoneham, MA, says you can get a good idea of the house’s structure by exploring the basement, attic, and unfinished areas. Focus on those areas rather than the pretty, recent additions to the home. There’s a good chance that your fixer-upper will need plumbing work. Depending on the scope of the project, the work will be either a quick fix or a significant undertaking that will eat into your budget. Some fixer-uppers may have low water pressure (fairly minor problem), while others may have pipes that need to be replaced (a big problem). Before buying a fixer-upper, make sure you’re comfortable with the amount of plumbing work required to bring the place up to snuff. That said, you shouldn’t immediately flee any fixer-uppers that need plumbing work. If you really love the house, it’s all about balancing costs and diverting money from one project to another. A logical layout is important in any home (no one wants to walk down a long hall to get to the guest bathroom), but it’s especially critical when you’re looking at an old home. Older homes are often divided into small rooms, but many people in this decade favor an open floor plan. “The entire family wants to be connected; no one wants to be stuck back in the kitchen when everyone else is hanging out. With an open floor plan, there is no separation between the zones of the house,” says Jean Brownhill, founder and CEO at New York City–based Sweeten, which matches people who have major renovation projects with general contractors. If you envision needing to knock down walls to create a more open, airy interior, know that the job can be expensive, time-consuming, and dusty. It’s not uncommon to encounter a fixer-upper that has an infestation, be it mice, termites, mold, dry rot, or asbestos. A minor issue such as mice can be resolved by putting out traps and filling holes in the house. However, severe termite damage could require a costly solution, including lifting the house (yes, right off the ground) to access the foundation and check for further damage. A seller is required to disclose such infestations, but a home inspector will also uncover any issues during the inspection that may occur after the house goes into contract. If you find any of these problems in your fixer-upper, it’s a good idea to get an estimate from a contractor to resolve the issue. Easton, CT, July 23 — The Easton Democratic Caucus has nominated Ira Kaplan as the Democratic candidate for the Easton Board of Selectman. The nineteen Easton electors voted unanimously on Monday night at the Easton Senior Center. Kaplan, a graduate of Princeton University with masters degrees from Cornell and NYU, is Senior Vice President and Technical Leader for Pricing at General Reinsurance in Stamford. He currently serves on the Executive Committee of the Easton Democratic Town Committee and is an active leader in his synagogue. Kaplan and his wife, Sue, Principal of Helen Keller Middle School, have lived in Easton for 19 years. Their grown children, Jason and Amy, attended Easton schools. A successful bipartisan petition effort forced this special election to fill a vacancy on the Board of Selectmen. The vote will coincide with the general election on November 6, 2018. The Easton Board of Selectmen is the executive and administrative branch of town government. The three members may include no more than two members of the same political party. 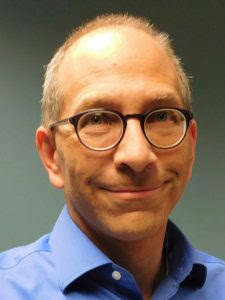 Kaplan’s election would provide a Democratic majority for the first time since 2005, as he completes the term ending in November 2019. EASTON, July 24, 2018 – Easton Republicans last night voted to endorse Kristi Sogofsky for selectman at their caucus held at the Easton Library. Ms. Sogofsky will be the endorsed Republican candidate for the Board of Selectman in the special election to be held concurrent with the general statewide election on Nov. 6, 2018. Ms. Sogofsky currently serves as a selectman, a position to which she was appointed in June by the Board of Selectmen. She filled the seat vacated by Carrie Colangelo, who took a new job that precluded her from holding elected office. 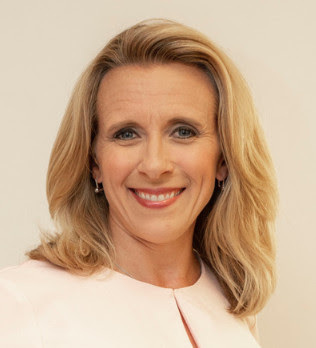 A television journalist by trade, Ms. Sogofsky is very active in Easton including serving as co-president of the Easton PTA for Samuel Staples Elementary School as well as chairman of the Easton Public Library Board of Trustees and the Easton Library Building Committee. She and her husband, Mark, have two children who attend Samuel Staples.